Thinning hair is a natural part of aging for many people. However, that doesn’t mean you have to settle for it! There are a lot of ways to naturally thicken your hair on your own. Around 80 million people in the U.S. alone suffer from hereditary hair loss. If your hair isn’t as thick as you want it to be, you’re not alone. It’s time to learn how to thicken hair so you can be happy with the way you look. Ready to get thicker hair in just a few easy steps? Keep reading to learn how to get the hair you really want. The way you eat could be contributing to your thinning hair. For better locks, try adding new things to your diet. Look for foods high in protein and omega-3s to boost your hair growth. Flaxseed is one great source of these nutrients. You can also try eating more eggs, salmon, walnuts, and other nuts, Greek yogurt, and beans. With these nutrients, your body can produce more hair faster. For some people, thinning hair is actually a result of nutritional deficiencies, not hereditary issues. You can also start taking a multivitamin to help ensure you get all the nutrients your hair needs. Using good styling products can help you get the appearance of thicker hair while you wait for more hair to actually grow in. And when you use hair-healthy products, you’ll keep the hairs you have longer, reducing breakage and damage that can contribute to thinning. Look for products containing moisturizers such as shea butter or coconut oil to nourish your hair. However, avoid heavy products that weigh down the hair, since they’ll make it look less thick. Without spending a lot of money on products, you can boost the health of your hair with natural, at-home treatments. Some of the same ingredients that boost hair growth in your diet can also improve the health of the hair on your head. Try a mask made of eggs or olive oil. The protein in eggs helps make your hair stronger, and olive oil has the omega-3s that your hair needs. You can also blend up some oranges into a puree for a hair-healthy mask that breaks down residue from products. The build-up of residue makes your hair look thinner and less healthy. Oranges have vitamin C, which boosts hair health, and acids to break up the product buildup. Castor oil has been touted as a hair regrowth tool for many years. When applied to the scalp, it appears to help encourage hair regrowth directly from the follicles. It contains fatty acids and vitamin E to help nourish your hair. You can leave it on your scalp for at least half an hour before you shower, or even overnight, to reap the most benefits from this treatment. Use it every day or as often as possible for the best results. Sometimes, your shampoo and conditioner are hurting your hair rather than helping. You might need to switch to better ingredients in your hair cleansing products. Many shampoos rely on sulfates, the cleansers that create suds and reduce grease. However, they dry out the hair and scalp, making your hair more likely to break, and decreasing new hair growth. Look for sulfate-free brands to help your hair maintain moisture every time you wash it. 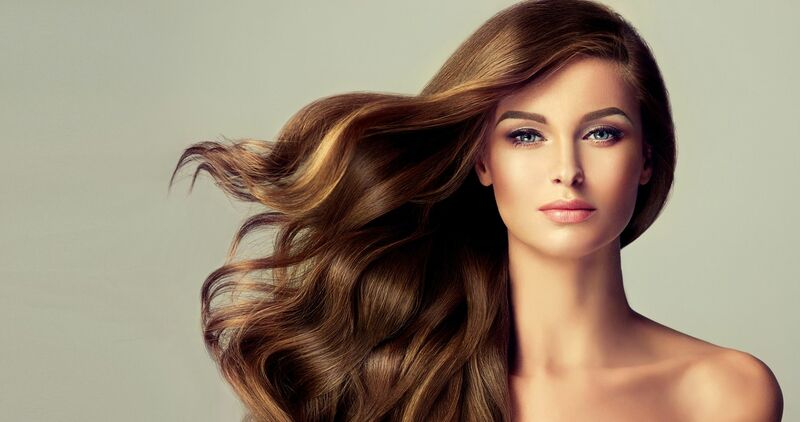 Protein in your shampoo can also help keep hair healthy and encourage growth. No matter how well you take care of your hair, the way you style it can cause damage that will make it thinner. To keep your hair luscious and full, it’s time to step away from the heat styling tools. Let your hair air dry, and style it without hot curlers or flat irons as often as you can. If you need to use heat styling tools sometimes, apply a protective treatment before you start. However, the less often you heat style, the more healthy your hair will be. Your hair depends on natural oils to stay healthy. If you’re in the habit of shampooing every day, you might be stripping your hair of those valuable oils, making it more likely to break. Daily washing can also kick the grease production on your scalp into overdrive, making your hair feel dirty faster. Try washing every other day, and gradually reducing to a few times a week. The less you wash, the less greasy your hair will get between washes, and the more your natural oils can do the job they’re meant to do. Another way to remove buildup besides the orange puree mask mentioned above is to use a deep cleansing treatment on occasion. Invest in a clarifying shampoo to get your hair properly clean, and use it every other week or as often as you need. This helps you see how your hair is really doing, so you can tell if your products are weighing you down or not. 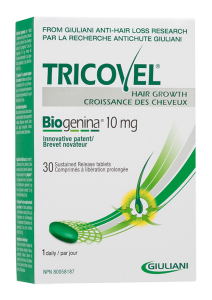 Hair regrowth supplements will help you get the boost you need. If the above steps haven’t given you the results you want, a supplement might just make the difference. Look for proven ingredients such as iron and vitamin B in your supplements. There are many supplements devised by professionals that use scientifically tested strategies to boost your hair growth. All of these tips for how to thicken hair are natural, inexpensive, and highly effective. Don’t buy into expensive programs that aren’t proven to work. Instead, try these simple changes to how you care for your hair and yourself, and you’ll soon see the results you’re hoping for. Are you feeling mystified by the causes of your hair loss? Clear things up with our guide to the causes of hair loss here.